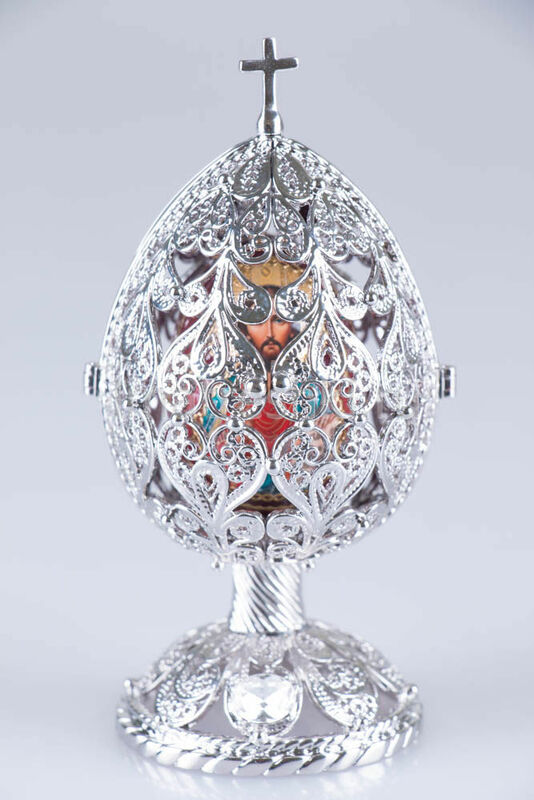 Silver Easter Russian Style Delicate Egg With Wooden Egg with Swarovski Cristals decorated by enamel, gilt and faux jewels. Hand Made with Swarovski Cristal. 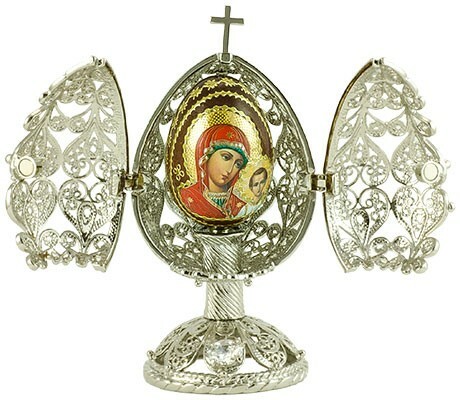 Truly Russian artwork, in traditional style of favorite jeweler of the Russian imperial Family. This Russian style trinket box is constructed from a pewter base. The box is hand enameled and decorated with Swarovski crystals. This box is hinged, and features a magnet for a clasp. The magnet enables the box to open easily, but close firmly. Inside there is a wooden egg decorated with Russian Orthodox icons. Such an egg will be a lovely memorable Easter present. I bought this for my wife, and she really likes it. It is very well made and shows a good degree of craftsmanship too. I would recommend this product and the seller.